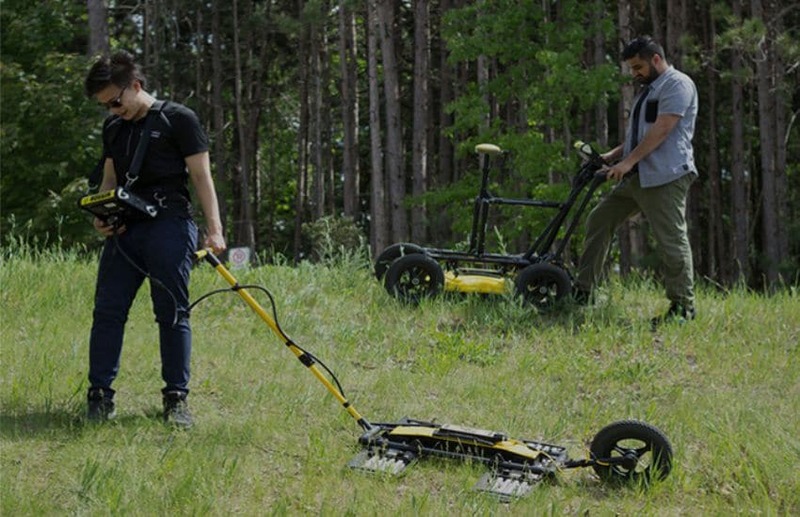 Noggin GPR systems have been recognized by leading researchers as providing the highest quality GPR data in the world. They are also built to perform in the most demanding conditions around the globe. Available in four center frequencies and four standard configurations, Noggin systems can collect data in any environment for any application. Noggins span the depths and resolutions required for subsurface investigations.Choose the combination of center frequency and configuration best suited to your application and terrain. Adjust data collection parameters and easily view data in the field with the high resolution, sunlight visible, touchscreen digital video logger (DVL). Noggins are used in a wide range of environments, temperatures, and weather conditions. Ground-coupled for maximum signal penetration and data quality. High resolution, sunlight visible, resistive touch screen with Wi-Fi and USB data transfer. 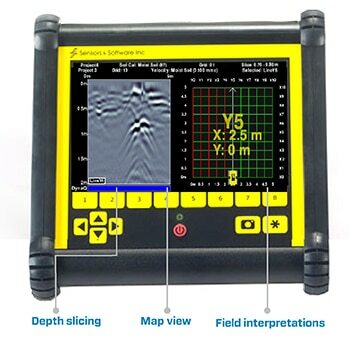 Change GPR parameters to optimize the survey. Adjust depth, step size, stacking, time window, grid size, triggering and more. Wi-Fi mini-reportsEmail a report of line, depth slice or map view data to your customers or colleagues. Depth slicingCollect grids of data and view depth slices right in the field. Map viewUsing external GPS, display a plan map view of survey path, grids, field interpretations and flags. Field interpretationsAdd color-coded interpretations and field flags with the touch of a finger. Optional GPSIntegrated GPS for post-processing and export to Google EarthTM, CAD drawings & GIS databases. The data collection software on the DVL 500 Noggins have default settings to get to work quickly; for line surveys just set the desired depth and start collecting. 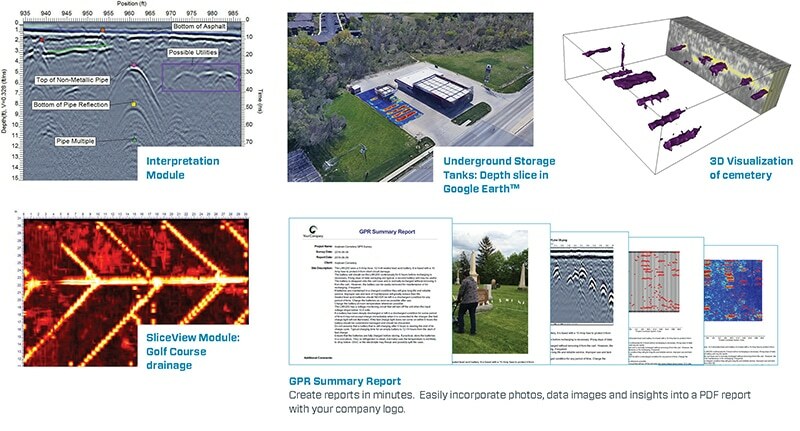 For grid collection, the GPR operator sets the grid size and line spacing. The screen prompts the user to collect each line until the grid is complete. It is easy to work around obstructions, skip lines or recollect lines if required. Once the grid is finished (or any time after at least 3 lines have been collected), the grid data can be processed into depth slices (right in the field!). Create impressive deliverables easily with EKKO_Project software. After data collection is finished, transfer the data to your computer and organize, edit, process and plot your GPR data with EKKO_Project. See your data in seconds – spend your time understanding the data, not importing and integrating ancillary information. EKKO_Project’s reporting capability outputs interpretations and other information into PDF, spreadsheet (csv), Google Earth (kmz) and CAD (dxf) files. Noggin systems provide valuable insights in countless subsurface applications. As your GPR knowledge and expertise grow, use your Noggin system to expand your business into new markets. Easily add another sensor, a new configuration or accessories to your existing Noggin system and your subsurface investigation opportunities are limitless.